That was the best name I could think of... Anyway, so, after some discussion, I decided to go ahead with this. This may not be the best time to start, it being christmas eve and all, but I may as well post it now. It had been about ten years since Kanto was taken over. An entire generation was growing up who had never even heard of pokemon trainers. Talking about pokemon training, pokemon battles, and anything related to the ownership of pokemon was illegal. Even simply mentioning pokemon was risky. The gym leaders and even the elite four and the champion were nothing more than figureheads, no longer possessing any sort of power. The new government, formerly an evil organization, seemingly no different from any of the other evil organizations throughout the world, ruled with an iron fist. They didn’t seem so bad at first, in fact they were once welcomed into Kanto. Cinnabar Island was home to a volcano, which was known to be active, but thought to be safe enough to build a city on. That is, until the day the inevitable happened. Most were able to make it out okay, but there were casualties, the leader of the Cinnabar Gym being one of them. Cities all around Kanto did everything they could to help, taking refugees in until new houses could be built. However, some ‘Good Samaritans” from another nation swooped in to help. They built a rather large refugee camp in Pewter, supposedly off of donations from their home nation. But once everything was starting to settle down, they didn’t leave. Instead, they become the new police force of Pewter. More and more frequently, disasters started occurring, with Kanto’s ‘friends’ always there to save the day. They became more of a presence throughout Kanto, saving cities from disasters and then buying the cities out. Soon, they were all throughout Kanto. They used their new influence to establish new laws; they declared pokemon too dangerous for citizens to have and banned training, legally taking pokemon away from their trainers. Soon, they had full control of the nation. Now with two nations under their control, Kanto and Sinnoh, Team Galactic had gotten farther than any similar organization had before. You are old enough to remember the times before this happened, and you want those times back. You, and a group of others with the same goal, plan to take them down. You’re not sure how to go about doing that, but you’re sure you’ll all come up with something. Just a note about age, it should be around 18-25. Also, while you can only start with one pokemon, you can get more later. Other details about your pokemon can be anything, personality, habits, the reason behind its name, any unusual features, anything you think is important. It can be in paragraph format, or point format, whichever you prefer. She is about average height, has dark brown (could easily be mistaken for black), shoulder length hair, which she sometimes ties back. She has dark brown eyes. Her wardrobe consists of two dull coloured tee-shirts, a pair of jeans, a pair of shorts, and a pair of sneakers. She keeps whatever she isn’t wearing in a backpack that she keeps whatever supplies she thinks they’ll need in, usually hastily thrown in, making it quite disorganized. She has a cheerful nature, though that has toned down significantly since the takeover, but it still manages to show through with her optimism. She feels a strong connection with Ghost types, because of how much time she spent with them. Lavender Town was a small town that wasn’t home to many families, so there weren’t many other children there, and those that were there were not close to her age, so she grew up a pretty solitary person. She doesn’t really like having too many people around, and she’s a little awkward, but when she is comfortable she is pretty easy going. When she or her friends are in danger she is quick to act, but easy to intimidate, so she often backs down, depending on the situation. When she was younger, she spent a lot of time in Pokemon Tower. Her parents hadn’t explained ‘death’ to her yet, so she didn’t know why it was such a big deal. She only wanted to meet pokemon, and the tower was the only place she could do that, since her parents didn’t allow her out of the town because she was too young. She was friends with all the pokemon in the tower, especially with a Gastly and a Cubone, who she called her best friends. When Team Galactic bought the tower, they quickly captured almost all of the pokemon who lived in it, including the Cubone, but the Gastly managed to escape. 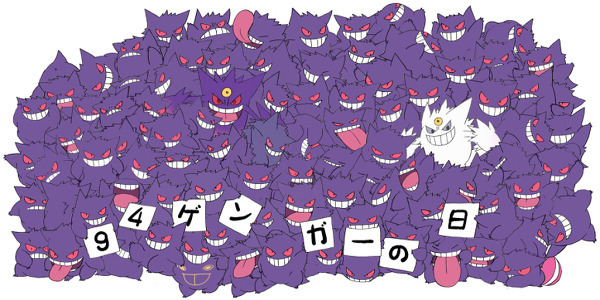 Thankfully, Ghost types are easier to hide than most other types, so keeping it a secret wasn’t hard. She and her Gastly had stayed together ever since. She is determined to find a way to free all of the tower’s pokemon and find Cubone (though by now it’s likely either a Marowak or dead), and hopefully, find a way to end Galactic’s reign of terror. - She is pretty playful, especially now that she is finally allowed to be seen by people other than Anise, and she often likes to pull small pranks on the other people and pokemon in the group. - She hates the wind and will avoid any amount of it whenever possible. Anise poked at the dying embers of a small fire she had made inside of Diglett’s Tunnel, near the Vermilion entrance, the meeting place she and the others decided on. It seemed the most accessible place to meet, since many towns and cities were close to one of the entrances, with most close to this one, and anyone closer to the Pewter entrance could simply make their way through the tunnel. She was the first there; she poorly predicted how long it would take to get from Lavender Town to here, so she left too early. She sighed as she continued poking the embers with a stick. The stick caught fire and she threw it on top of the embers, and then grabbed the last few pieces of wood she had gathered and placed them in the renewed flame, bringing the fire back to its initial size. She was a little worried about GPF (Galactic Police Force) noticing her little camp fire, which would cause all sorts of problems, but she was situated safely in an alcove, deep enough into the tunnel to keep her completely hidden from anyone outside, and there was a light wind blowing into the tunnel, taking the smoke with it. She was more worried about the fact that she had no more firewood and the sun hadn’t set yet. Dusk gave her a look to say that Anise must be crazy if she thinks she is going out into the wind. “Oh, come on, there isn’t even that much wind,” she scoffed. Dusk simply glared at her in protest. The ‘conversation’ quickly became a staring contest between the two, until Dusk gave up and left to fulfill her request. “Thank you,” Anise responded, sounding rather satisfied with herself. She still sort of wondered how the Gastly could pick things even though she was mostly just gas, but apparently it worked. She hoped one of her friends would show up tonight, but she couldn’t be sure. Most, if not all of them lived in different towns and cities, so it would take some of them a few days to get here if they traveled by foot. She just hoped most of them would arrive around the same time, so they wouldn’t have to try to hide too many people and pokemon in the small alcove she hid in. At least she wouldn’t have to worry about Dusk, who knew to hide herself as soon as she heard someone coming. Edit: I forgot to add my starter post, which had some important information... Mainly where everyone is meeting... Sorry about that. Appearance: Rather tall and lanky, standing at a height of 6'5". Although thin, his height and deep tone to his voice give him the strange ability to appear as if he towers over anyone else, in height and authority. His hair is pitch black, pretty much invisible if the background were to be a night sky. The hair is pretty much just spikes going all over the damned place, looking like a hedgehog in a wind tunnel. His eyes that appeared to stay dull and perhaps lifeless even in harsh sunlight were a dark tone of green. He wore a waistcoat low enough to reach down to his knees, dark grey trousers and a pair of glasses doubling as video cameras. Personality: The new world he has to endure each day has taken its toll. He's usually about as happy as a turkey at Christmastime, remaining serious yet mature in most situations. It takes far too long for someone to gain his trust, due to his trust being broken so many times in the past. He usually demands authority, and believes whatever he says goes. He will gladly fight for what he believes in. He's not afraid to say what's on his mind, no matter what crap it could put him in. History: Seemingly immediately after birth, he was abandoned by his parents. Perhaps they were lost in one of the disasters. Frankly, he didn't know and didn't care. He never knew them, so to him it wasn't a huge loss. He was raised in Pewter City by a Kangashkan, who was later killed by a mugger driven crazy by desperation after the Cinnabar Island volcanic eruption left him homeless, penniless and friendless. After that, he was forced to look after himself, and over time became more sour than before. Other Details:(optional) Along with the focus band around his neck, his wrist contains a Life Orb embedded into a ring, mainly for convenience. Also, it looks better than holding it normally. A Pokemon with a Hardy nature, he's capable of taking a few punches and will retaliate with brute force. He's quote proud of the power he has, but just the sight of a Bug Type causes him to jump in the arms of the nearest thing that breathes. Even a Joltik. His fear of bugs is just silly when you consider everything else. Back then, life was good. Pewter City, life of luxury if ya ask me. Pokemon were friends. The Kangashkan I knew was one that actually saved my life. I wasn't the most fortunate of kids,but that Motherly Kangaroo helped me more than words can describe. I really wish I could repay her. And so is everything else I want to live for. Compare today with when I was young, this place is hell on earth. After that Kangashkan got killed, that's when everything went downhill, including any trace of happiness. I've tried remaining strong though. Hell, it ain't easy. Today's world has been ruined by every stupid evil corporation you can name. Why? Hell if I know. They just want to see people suffer. And I want to do the same to them. 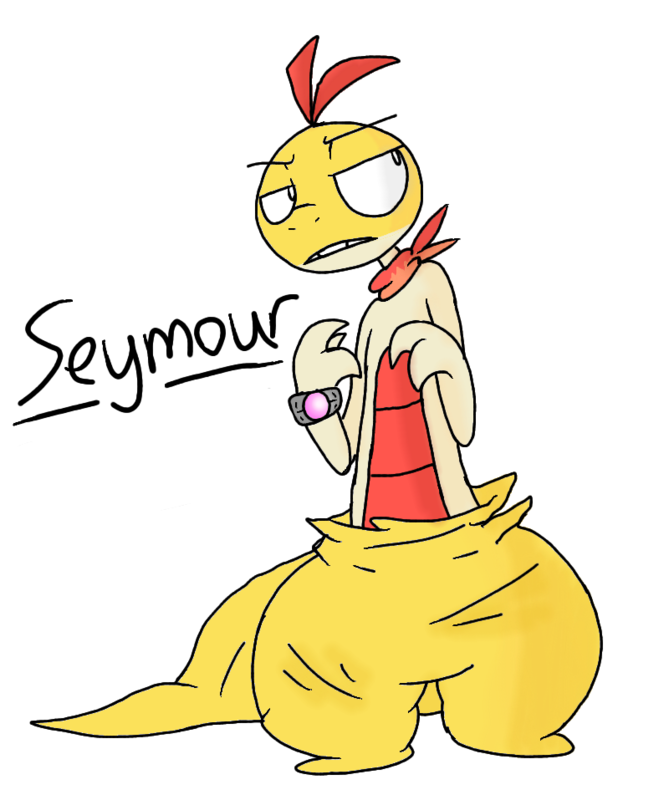 I'm not a fan of working with others, I'm more of an individual if you disregard Seymour. But I'll make an exception. I'm done having to endure this hellhole of a wasteland day after day. I want my old life back. And I'd kill for it. To be fair, I probably will. Alright, looks good! 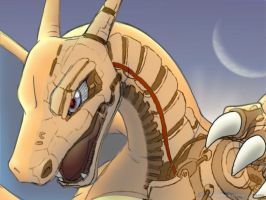 Though, didn't realize I left out my starter post, so, while your starter is fine, if you want add to it now, you can. Either way, it's accepted. Oh, it may be too late to mention this now, but, to the person who asked me to reserve a spot for them but appears to have deleted that post, I'm sorry, I didn't respond because I thought it was a given that I would save a spot for you and I'm not the type to say anything unless necessary. Posting in general gives me anxiety, but posting something I think is obvious or not necessary makes it much worse. I wasn't trying to ignore you, I just thought that my telling Blaze I would save a spot for him would make it clear that I would save a spot for anyone who asked. I shouldn't think that way, but it's the way my mind works and I haven't been able to change that. I'm really sorry. Appearance: His hair is short and bright red, and form circular curves that cling closely to his head. His skin is very fair, and he has freckles on his cheeks, and some more scattered around the rest of his body. His eyes are the kind of icy blue that immediately snag attention to the rest his face, and staring into them uncomfortable and difficult. Mark is a bit more heavy set than usual, maintaining a slightly husky build with only a little bit of muscle to back it up. For clothes, Mark wears a dark blue cotton shirt, with a few dashes of brighter color died onto the cotton. For overwear, he has a light brown sturdy outdoorsman jacket. He wears tan courdoroy pants, and completes his outfit with a pair of white and blue shoes. Personality: Mark was very into the outdoors when he was younger, but ever since Team Galatic starting taking away pokemon from their trainers, he stays inside of his home more to be with Diesel. Him and Diesel are incredibly tightly bonded, and Mark also can't trust Diesel alone in the house for more than an hour. Interests aside, he is fairly easily annoyed and quick to jump to conclusions in the face of a crisis. In an emotional crisis situation, Mark is the person who is about to fly off the handle. Normally, however, he's rather collected, but often finds himself at a loss of words to say at certain comments. He has a good sense of humor and is generally straightforward. History: At the age of six, Mark's grandfather died of heart complications. In the wake of his death, Mark wound up getting a hefty inheritance and his grandfather's Furret. At the time, the ferret, Diesel, would probably be assessed at being level 15, as he was only a few years old. Mark didn't like to treat his furret as a fighter, though. He scarcely battled Diesel, and more kept him as a companion. As far as family history, his parents split when he was 13, and they had a less than harmonious relationship while he was growing up, so he spent a lot of his time with Diesel. As soon as he turned 18 he chose to work for Kanto aiding with the disaster relief efforts, which is where he first started to hear theories among his coworkers about Team Galatic. With his insider information, he chose to keep the possession of Diesel on the down low so his childhood pet wouldn't be taken away. Other Details: Timid, but incredibly mischievous when he is in practice. Very loyal to Mark, but loves to pester and annoy him. Above all though, he loves the shiny stuff. If your pack seems like it's so heavy that you suspect it must be full of rocks, its because Diesel probably stashed some shiny rocks among your clothes. Mark lifted his heavy backpack off of his aching shoulders, and began to gently remove it. He placed it softly on the ground in the woods, and sat on a nearby toppled tree. He opened the belts at the top of his bag, and like a jack-in-the-box, a furret leaped out of the prison. It landed squarely on its feet, and began to stretch and prance around in an attempt to stretch its legs. "Yeah Diesel, 3 hours in that backpack must have been terrible. Thanks for keeping quiet," Mark said, followed by a small smile at his companion. The furret chirped happily, and ran about ten feet away from Mark. Mark looked at Diesel curiously, as the furret stared oddly back at him with his black eyes. Mark shook his head, and reached his hand into his pack. Mark began to panic as he touched his lunchbox, and noticed that it was already open. He looked up at Diesel, who was staring back inquisitively. Mark's happy expression was wiped off of his face as he felt around in the lunchbox, his eyes locked on the furret the whole time. Empty. Mark clamped his teeth together. This wasn't the first time Diesel had helped himself to his brunch. "Diesel, you're gonna have to get back in the bag, now I need to get take out. You can't just expect a man to go 18 hours straight with no food. I told you! The only reason I didn't feed you before we left was because I know you get motion sickness. I hope you hurl," Mark yelled at the furret, who was still staring blankly at him. There was a pause of silence where Mark looked expectantly at his partner. After a few moments, however, Diesel came silently bouncing forward, and nestled itself on top of the tousled clothes in Mark's knapsack. Mark shook his head as he looked down and noticed Diesel curled up in the nest he had made out of Mark's clothes. He sealed the bag at the top, but leaving the top portion of his backpack so Diesel could get a little bit of nap. That jerk doesn't deserve even a wink of sleep. Appearance: Mel is about 5 foot 6 inches tall. She's mostly long and lanky, although she often slouches, partially hiding this fact. Will finish on my phone. Mrrgrrgrr. I will like to reserve a spot if it isn't too late. I will have the form done by today. I need a computer to work on drawing my trainer. Ah, I had thought everyone had forgotten about this. I was planning on making a post here soon to ask if anyone was still interested in this. Of course I'll save you guys a spot. Anyway, if everyone's still interested, I think we'll start by the end of the week, if everyone has their forms done. After that, if anyone wants to join, pm me and I'll try to find a way to work you in. Kitt seems quiet when you first meet him, but he quickly opens up to you if he sees you as his friend. Always alert, he is ready for action at a moment's notice. He will not hesitate if his friends need him and he always helps out whenever he can. Kitsami was formally a grunt in Team Galatic while they were stationed in the Sinnoh. However, when he learned of Cyrus's plan to chain the Lake Trio, he quietly slipped away. While he made his escape, he managed to free a Riolu who was imprisoned in the Veilstone Headquarters. He then boarded a ship that took him to Vermillion City where he and his Riolu went on to defeat the 8 Kanto gym leaders and his Riolu evolved into a Lucario. When Team Galatic conquered Kanto, Kitt decided it was best if he escaped to Island One of the Sevii Islands, hoping it was out of Galatic's control. That was a month ago though and now Galatic has taken over the Sevii Islands as well. Rather than running away, Kitt has decided to fight back. He only hopes that it isn't too late. 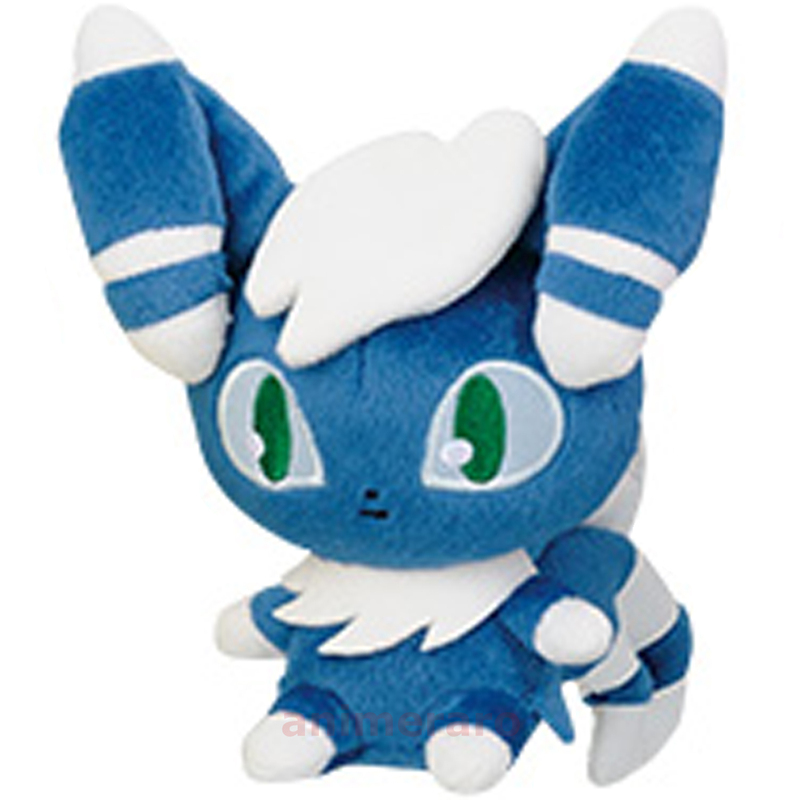 He is onboard the Sea Gallop now, en route to Cinnabar Island with his Lucario at his side. The wind rushed past Kitt's ears as he waited on the ferry to reach Cinnibar. He was standing on the front of the ship, one foot on the railing. He spent the last month training for this moment. The time for running is over. Team Galatic has overstepped their boundaries conquering the Kanto region. He had hoped that they stayed in the Sinnoh where they belonged. Yet, alas, his past caught up with him as it always did. Are you nervous? Kitt turned to see a cloaked figure standing behind him. It was his Lucario in disguise. Team Galatic passed laws saying if a human is caught with a Pokemon the consequences were severe. 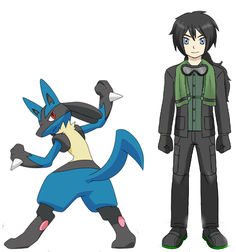 Hence, Kitt made certain that nobody will notice Lucario by giving him a human-like name Kenji and training him to use Telepathy. "A little. We have been running from Team Galatic for some time." Kitt replied in a calming voice. "I believe you are ready though. We have been through a lot as partners and I promise I won't let any harm come to you." Kenji nodded. Right. The Lucario moved forward, careful not to let any of his features show. We have been through a lot together, haven't we? We escaped those cruel men who were trying to experiment on me. If I ever see those scientists again....I will show them how my Aura operates. With a nice Aura Sphere. Kitt chuckled. "Well, we most likely will be. Who knows...there might even be other people who are sick of Team Galatic like we are. I suppose we can use as much help as we can get from anyone." Yet, you know fully well I don't trust other humans. Looks good overall, but 52 may be too high a starting level. It makes sense for the character, but put in practice could cause problems. Maybe you could put some sort of limiting factor on it but keep the level the same? Like, since he said he didn't trust other humans, maybe he could be reluctant to fight with the rest of the group? That way it won't just blast through any obstacle. At least until the rest of the group starts to catch up, level-wise. You don't have to, I can try to find other ways to keep it from being too overpowered. Appearance: 5'5, lean build. Often assumed to be harmless because of this, but can beat the absolute hell out of someone if threatened. Incredibly pale, has naturally straight waist-length Scarlet hair and bright blue eyes. Wears tight, faded jeans with several cuts in the right thigh, dark gray T-shirt and sneakers, and dons a black hooded sweatshirt in cold weather or "night ops". She keeps a five-inch knife strapped to her leg under her pants, a lockpicking set in one of her shoes, and a broken mega ring on a silver chain around her neck. Personality: Resourceful and quick-witted. She's sometimes mistaken to be cold and distant, but this has always been when she was occupied with studying and tracking a target. When not on the job, Elle is wily and amiable, at least on the outside. Beneath the surface, though, her mind just never stops analyzing people, trying to discern how best to take their belongings or win them over as an ally. Her outwardly easygoing nature has made her quite a few friends and contacts in the dark underbelly of Celadon and its neighboring Saffron. In social situations, she is constantly joking with, and teasing, people. She operates well under pressure, moving quickly if put in a tight spot but still keeping her head and putting it to work finding a way to get out unscathed... and making sure any adversaries don't leave that way. History: Elle grew up in the streets of Celadon's bad side, fleeing from a group home when she was small. She made her way as a pickpocket forn the first few years, then graduated to b&e. At the age of six, she discovered the abandoned basement of the game Corner while looking for a place to stay. After a short time wandering around, she came across a tiny yellow lizard locked in a cage, left behind after the Rockets cleared out. The oddly colored charmander became her constant companion, helping in her less-than-legal activities and occasionally taking a few battles for food-and-clothes money. Hers and her Pokemon's life were affected little when Galactic took over; the pair simply retreated underground for a while. As far as anyone can tell, she only joined in the rebellion for the fun of taking down a major crime organization. Other Details: Raze is absolutely ruthless in battle. Any opportunity to KO her opponent, no matter how cruel or unfair, is taken without hesitation. Outside of combat, she shares her trainer's wily nature, and loves to send small bursts of fire at people or Pokemon. She evolved just recently, after wiping out a flock of wild spearow during the pair's move to the Digglett tunnel. Starter Post: The frigid night wind put a chill through the pair crouched at the edge of the woods. 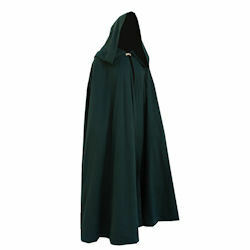 The figure on the right raised its hood, wisps of crimson hair flying around the edges of the cloth. The other simply raised its internal temperature, smoke rising from its nostrils as a flare at the end of the being's electric-yellow tail glowed for a moment before returning to a small jet of flame. "I hate when you do that, you know... You'll give away our position." The human reached out and grabbed the horn protruding from her companion's head and gave it a playful shake. A hissing rumble sounded from the creature's throat, and its tail thumped against the girl's back. She chuckled. "Whatever, Raze. Just wait a little longer. Five minutes, and I'll have you full of the best stuff this puny town has to offer." The sound of Raze's impatient growl brought Elle out of her paranoid trance. What was wrong with her? If they hadn't tracked the stolen goods back to her by now, odds were they never would. Her eyes flicked over the city's dim lights once more, then she leaned in close to her partner. The near-invisible steam emanating from the lizard's flesh was blissfully warm; she was almost tempted to just snuggle the pokemon like she did when she was little. But there was work to be done. "Alright," she whispered. "Here's your part..."
Some twenty minutes later, Vermilion City's police force was pacing around and inside a local couple's home, questioning the frightened pair and inspecting a large hole in one wall. What the thieves had taken, for this was clearly a robbery, wasn't nearly as troubling as the nature of the hole. Rather than having been broken, the glass was melted at the edges of the jagged opening. Whatever the cause, it had to be hot enough to vaporize glass and controlled enough to leave the house standing. The crime would go unsolved, but the residents and local law enforcement involved would puzzle about the incident for weeks to come. Personality: Anya is quiet and brooding. When she does talk, she tends to be very cynical and jaded. She goes unnoticed by many people, and prefers it that way. History: Anya was raised by her family in a remote part of Route 228 until Pokémon were banned. Now she lives within a secret community of people and Pokémon. She hatched Saphira when she was twelve, after receiving the egg as a gift from her former neighbour, Dax, who had been her best friend since they were around four years old. Dax also is currently in the secret community. More in the starter post. On the exposed parts of her skin, Enya could feel the desert heat. She could see the blinding glow from sand reflected sunlight through her closed eyelids. She could smell the dusty grit of the sand everywhere around her. She took a breath and opened her eyes. Six attackers, three armed. She whipped out her falchions and raised one up to block the first attack Breathe in, and swung the other cleanly through his midsection. She grabbed another enemy Breathe out, knocking him off his feet and onto her blade. She swung him into another enemy Breathe in, then pulled her blade out from him and stabbed another in one smooth movement. Breathe out The other two (armed) began attacking her from either side. Breathe in She blocked their first two attacks, and then swept one off his feet Breathe in, bringing the movement up into a double slash across the other's chest Breathe out, finishing by stabbing into the last attacker. She blinked, and he was gone; back to the dust and shadows of her imagination once more. I have trained for this for years. I begin later today. I will be ready. [/b] She wiped sweat off her brow and readied herself to begin the exercise again when Saphira came over and nudged her head under Anya's hand. She looked down. "Alright, girl. We'll go home." which had been blown wide open. She rushed in and headed to the main room, jumping over bodies and not seeing any signs of life. Human and pokémon alike lay on the ground, pools of red spread around them. She reached the main room and immediately spotted the person she was looking for. She rushed over and put her hands on his shoulders. "DAX!" Slowly, he opened one eye, and coughed. "Hey," he said in a weak voice. "Don't... talk. I don't ha... time. Take... Skar..." He faded a bit, and Anya stood up, blinking away a tear. He reached up and feebly grabbed her shirt. "Set him free..." Anya nodded. He slumped back and breathed his last. 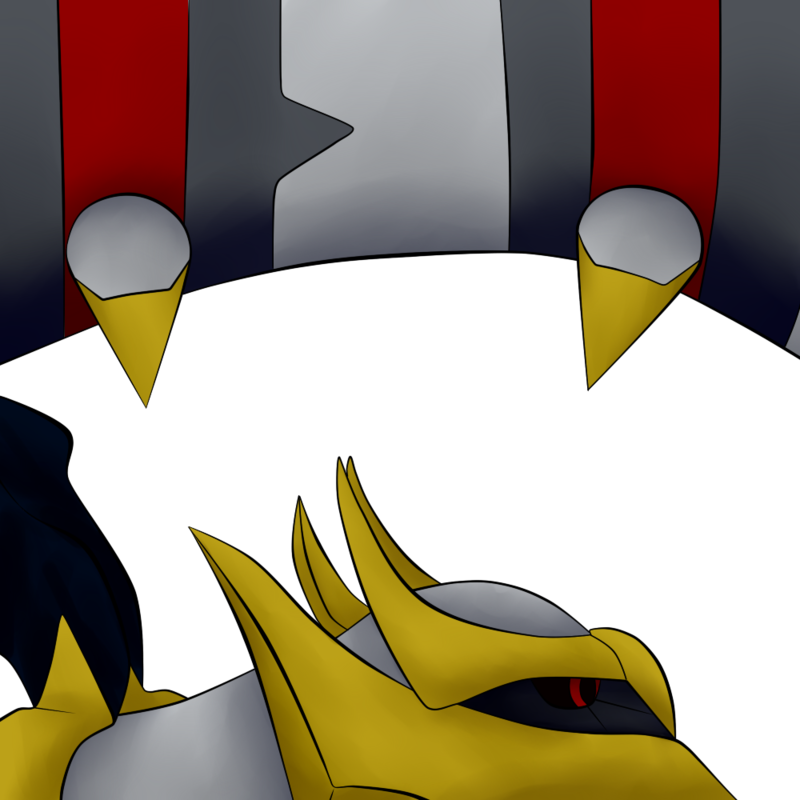 Anya closed his eyes and murmured a brief prayer to Arceus and Yveltal for safe passage through the afterlife. She got up and ran to the rookery, sweeping back the curtain in front of the door and unlocking it with her key. She walked in and mounted the Skarmory within. "C'mon, Skar." The two of them flew off, heading for the diglett tunnel. And here she was. She had already set Skar free and was at the tunnel mouth. She took a deep breath. Here we go. [/b] She started, noting that she had smelled smoke, and drew a falchion. She crept into the cave, locating an alcove where the smoke was apparently coming from. She whipped around the corner and put her blade to the throat of the person in there. She stated the first part of the agreed password: "When the Noctowl sleeps, how does its head droop?"